In order to ensure sustainable urban development, India’s leaders must prioritizes cities that are compact, connected, and coordinated. Photo by Mattheui Aubry/Flickr. Last Thursday could be a turning point in the history of India’s urbanization: the Modi government has unveiled its ambitious Smart City project, which aims to build 100 smart cities across the country. Additionally, the AMRUT program will aim to “rejuvenate and transform” 500 existing cities. The government’s focus on creating better cities is a welcome development, at a time when the urban population of India will double within the next 20 years, from 370 million today. As India moves forward with its smart city projects, the key goal should be creating compact and connected cities by leveraging public participation and inter-government coordination. Like many other developing countries, not only do India’s cities face severe infrastructure bottlenecks and service level deficits that undercut economic performance, but poorly managed urban growth directly impacts health and quality of life. Worsening air pollution in Indian cities is estimated to have caused 620,000 premature deaths per year (WHO). Cities also add significantly to overall carbon emissions (close to half of India’s net greenhouse gas emission originate in urban areas). These costs are exacerbated by the ongoing real-estate boom in peri-urban areas fueled by demand from the IT and residential sectors that is not only unplanned, but almost entirely devoid of adequate public services (water, sewer, power) provision or reasonable access to transit infrastructure. This reinforces the vicious cycle of deeper and deeper reliance by firms and households on groundwater, private vehicular ownership, and polluting diesel power generation to meet basic needs. The costs of business-as-usual urban development are clearly unsustainable. The smart-city plan will focus on both greenfield and brownfield development—not all the smart city projects will be brand-new from scratch cities. As part of the smart city program, the government is already calling for state-owned companies and ministries to release large tracts of land for development. The Ministry of Shipping alone is set to release 2.6 million acres of land in port cities like Mumbai and Kolkata. However, in both infill development and new greenfield areas, the goal should be the development of efficient density, enabled by compact mixed-use development around transit nodes and walkable, compact residential neighborhoods. Compact development will lower the cost of providing city services, and maximize the economic gains from new development. Studies from the New Climate Economy project have estimated that sprawl costs the U.S. economy over $1 trillion annually due to the higher per-capita cost of providing infrastructure in low-density areas. In India, density may be high in many urban areas, but floor-area ratio (FAR) remains low—in other words, there is still room to build upwards in certain areas. India should also ensure that new districts on the periphery of cities do not end up stimulating sprawl. In order to do this, planners should ensure new districts incorporate a healthy mix of jobs and housing, and develop them as complete self-sustaining communities with amenities like schools, parks, hospitals, and other government services. Density is a critical component of future smart cities, but density is not possible without robust transport networks that serve all citizens. The WRI India team has helped many Indian cities implement sustainable mobility projects, including BRT systems in Indore, Ahmedabad, and Surat and bus system improvements in Bangalore. Rail and bus systems must be integrated with pedestrian and bicycle networks. Smart cities are safe cities. If India incorporates these concepts in its smart-city program, then new cities will develop in a way that improves health and quality of life in addition to economic growth. India currently leads the world in traffic fatalities, a statistic that should be as concerning to India’s planners as the lack of adequate sanitation facilities. Prime Minister Modi has said that “good governance means putting people at the center of development.” Going forward, it will be important to engage the public in the implementation process of smart cities. City and state authorities will need to take ownership of smart city projects for success. It is very important for people to work towards a vision for the future, rather than be limited by the legalities of a master plan. We need to move from compliance-based incremental changes, to a large vision of what the city needs—developing strategic projects, and supporting that vision and plan with strong laws and processes to achieve sustainable change. 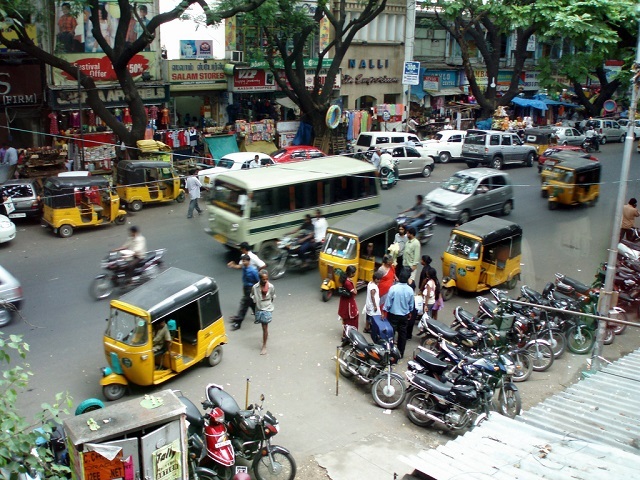 In 2013 in Bangalore, the World Resources Institute worked with communities to pilot a bottom-up neighborhood improvement plan for the Hosur Sarjapur Road Layout area. Key urban issues, such as mobility, accessibility, signage, place identity, biodiversity and public spaces were studied at the neighborhood scale. Through various stakeholder meetings, the community was encouraged to come forward with their ideas, challenges, fears, hopes and aspirations for what they wanted their neighborhood to look like. The community was mobilized to not only define clear areas that could be improved, but also to create and test a sustainable, implementable vision for the area. The government’s 100 Smart Cities initiative is ambitious. Therefore, it is important to build capacity (in government, the private sector, and among citizens) to meet this ambition. We will require a ready pool of specialists, technical experts, professionals, and private players to participate. We will also require a reoriented strategic planning process. There must be strong political will in order to implement the changes needed to make our cities healthy, livable, and smart.